The We Company saw its bond prices dip on Tuesday, following reports that the company’s losses had doubled in 2018 to $1.93 billion. The value of the company’s bonds fell to 91 cents on the dollar, down from 92.6 cents the day before, the Financial Times reported. This pushed the yield on the bonds up to 9.8 per cent, according to bond trading platform MarketAxess. 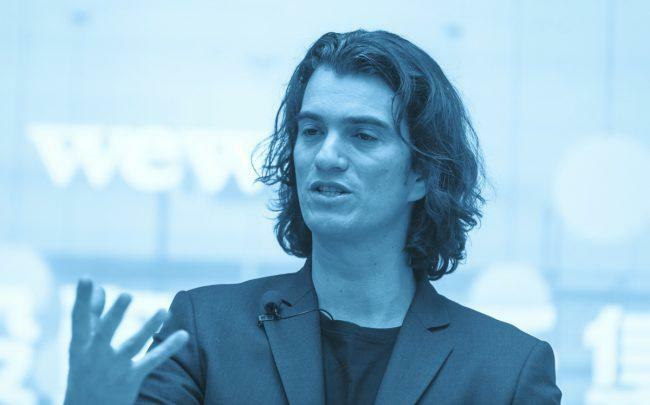 The New York-based co-working firm, formerly known as WeWork, sold $700 million in bonds to investors in April, and the company’s disclosures to bond investors offered a glimpse into the startup’s finances. In a presentation to bond investors on Monday, the We Company, valued at $47 billion as of January, reported that its aggressive expansion drive had caused the company’s locations, membership and revenue to all more than double in 2018 – but that losses had more than doubled as well. The We Company’s bonds performed poorly out of the gate, dipping to 96 cents on the dollar in the first week of trading. The bonds traded above par briefly in August, but have broadly declined since then.